Yeoman Brian ‘Pilz’ Edwards has kindly provided a family tribute to his father who served briefly in the Royal New Zealand Navy and was subsequently lost at sea when MTB 316 was sunk in 1943. 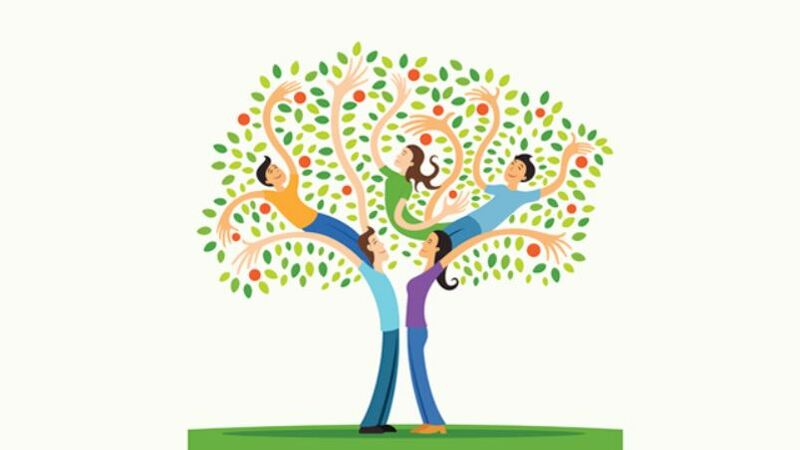 Thanks, Pilz for your family history and for sharing it with us all. Thanks, Mole for the contribution. SPEAKER: Order! Order! Can the member ask the question as it’s put? Hon MARK MITCHELL: Oh, sorry. My question is to the Minister for Veterans. 9. Hon MARK MITCHELL (National—Rodney) to the Minister for Veterans: Does he stand by all his statements and actions? Hon RON MARK (Minister for Veterans): In the main, yes. In regards to my remarks to the No Duff summit held on 1 December 2018, whilst the assertions that I was campaigning for New Zealand First lack context, given the way they have been misconstrued, I acknowledge that my comments could have been tighter, and I’ll be careful in future. Hon Mark Mitchell: Does he stand by his statement to No Duff Charitable Trust that “when I look at the polling results of my political party New Zealand First, then the veterans, the Defence base, you guys haven’t supported us. At all.”? Hon RON MARK: —stand by that. SPEAKER: Order! Order! I thought the member was threatening to give us the full 25 minutes. Hon Mark Mitchell: Does he agree with No Duff’s founder, Aaron Wood, when he says it’s not the kind of thing you’d expect to get from a Minister of the Crown? Hon RON MARK: Interesting comment. Look, Aaron is one of those people who set up and founded No Duff, and hats off to Aaron. I would refer the member to the statement just released by No Duff and posted on their Facebook page, and I am very grateful for their comments. Rt Hon Winston Peters: Can I ask the Minister for Veterans as to whether his policy is to regard actions as being far, far more important than words? Hon RON MARK: Look, a very good question. I guess that is the difference, that is the hallmark, that I would hope to leave on this portfolio should I not be here. The fact is in that speech we talked about delivery as opposed to non-delivery. The fact is that in 2008, a Labour – New Zealand First Government appropriated money to the RSA on a four-year tranche. The fact is that the National Government removed that. The fact is that this Government reinstated it. The fact is that we actually went out and gave funding to No Duff in recognition of the wonderful work they do. [Interruption] That’s performance, that’s delivery, as opposed to what that member’s Government did. SPEAKER: Order! Order! I’m not sure—was that Ms Barry who made that interjections or was it Ms Kaye? Someone made a most unparliamentary allegation. I think it was you, Ms Barry—a word beginning with B. SPEAKER: The member will stand, withdraw, and apologise. Hon Maggie Barry: I withdraw and apologise. Hon Mark Mitchell: Given the Minister feels like he’s only got three years in the job, is he going to, in his ministerial role, continue to speak about New Zealand First’s party vote when he’s addressing veterans and New Zealand defence personnel. Hon RON MARK: I think hindsight’s a wonderful thing. Given the concerns that are being raised and the way in which those two quite separate comments were spliced together and presented, I will be tighter in future, Mr Mitchell. But that will not stop me doing as much as I possibly can for veterans going forward, and that will not stop me advocating passionately for them. I just hope, at the end of the day, to be judged on what we deliver to veterans as opposed to what they used to get. Darroch Ball: Of all the statements and policy statements and speeches the Minister has made since his being appointed, what is, in his view, the most significant issue facing veterans? Hon RON MARK: It’s a very good question. There are a number of issues that affect veterans right now. One that has to be at the top of the list is the review of the 2014 Act, which the previous Government passed and which has now been proven by Professor Ron Paterson’s report to be thoroughly inadequate and in need of a complete rewrite. But the one that stands out, ironically, is the one around which this controversy is swirling: it is the work that people like No Duff do in addressing the issue of PTSD. It is the one that has been ignored for far too long of contemporary vets, of which, Mr Mitchell, there are 32,000 now who have completed operational service, and it’s about delivering quality service and support at the front line to those affected with PTSD as opposed to making a trivial issue of it in point-scoring in the way in which that member chooses to do. Rt Hon Winston Peters: Is the Minister saying that the three-year time frame he gave represents the humility with which Ministers in this Government perform their job rather than the arrogant born-to-rule attitude of some? SPEAKER: Order! The member may answer the first part of the question. Hon Gerry Brownlee: Well, what was the first part? Rt Hon Winston Peters: Well, shut up and you’ll find out. Hon RON MARK: I’d like to think that I’m not one who feels he’s born to rule or privileged. I do believe I’m very privileged for being appointed as the Minister for Veterans by the Prime Minister and my leader, the Rt Hon Winston Peters. I am realistic, and I know you cannot look at this job as anything more than a three-year posting, Mr Mitchell. So I am focused on that. I am focused on that and delivering the very best that I can do for the women and men who serve us faithfully in uniform, and that’s all I hope to achieve. SPEAKER: Before we move on, early in that answer the Deputy Prime Minister used an unparliamentary term, inviting members opposite to cease their interjections. Two points: one, it’s my role; and, secondly, the phrase he used is certainly unparliamentary. He will stand, withdraw, and apologise. Rt Hon Winston Peters: I withdraw and apologise. SPEAKER: Yes, with about as much sincerity as I’ve seen on the other side recently. The NZDF communicates from New Zealand to its deployed aircraft and ships using HF radio or satellite communications. HF radio is the primary communications medium for smaller ships, aircraft, and for deployed forces when the satellite is unavailable. The NZDF’s need to retain the ability to communicate with ships and aircraft close to New Zealand and to access global communications when satellite links are unavailable has triggered an NZ Ministry of Defence project to improve the efficiency and effectiveness of the NZDF’s high-frequency radio capability. NZDF elements deployed around the world on ground operations, from Antarctica to Iraq, can be reached by choice through multiple communications bearers – geosynchronous satellites, low earth orbit satellites, HF radio, cable and telecommunications networks. Each has advantages and disadvantages, but the most important high data capacity bearer for the NZDF is the satellite, with backup by HF radio when satellite communications are denied or inaccessible, for example, by platforms working below of 60 degrees South in the Southern Ocean and Antarctica. 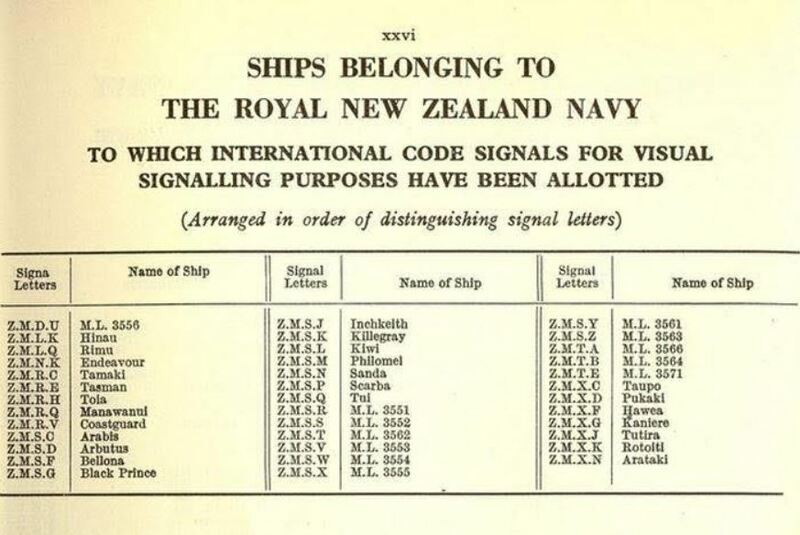 The NZDF HF radio capability is also used as an emergency standby for Maritime New Zealand. The current fixed high-frequency radio system was installed in the 1980s and a limited upgrade was undertaken in 2005. As a result, the system is becoming more difficult to maintain. disruption or failure. 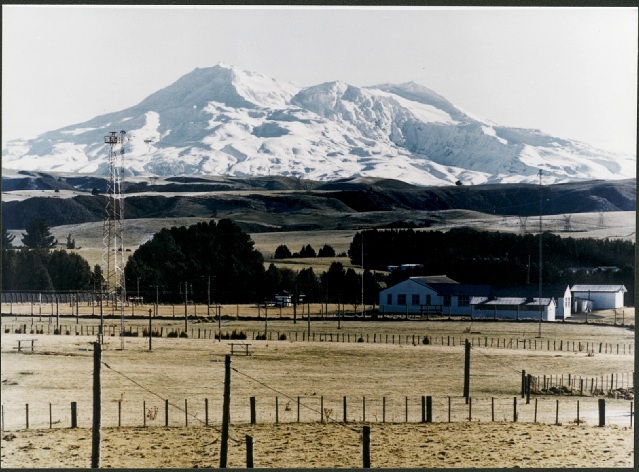 NZDF’s current New Zealand based fixed high-frequency radio infrastructure was installed in the 1980s, with some parts of the infrastructure upgraded in 2005. The Fixed High-Frequency Radio Refresh Project seeks to upgrade and consolidate this infrastructure to deliver value for money HF capability that will support the NZDF’s deployed and domestic operations in a sustainable manner. • Installation of supplied cryptographic equipment.’ APDR has had the opportunity to access a redacted NZ Cabinet Government Administration and Expenditure Review Committee minutes, where the result of Minister of Defence Ron Mark’s submission was approval to release a Request for Proposal in the Government Electronic Tenders Service within a capital cost of up to NZ $0.445 million operating and an NZ $0.475 million allowance for pre-acquisition capital costs. The Request for Proposals for the Fixed High-Frequency Radio Refresh project was released on 6 August 2018 and closed on 23 November. Recommendations are expected to be completed this quarter and it is anticipated that a contract will be awarded later this year. At a time when alternative means of communication are required to counter potential adversary’s jamming radio signals, knocking out satellite systems, or cutting undersea cables, HF radio has assumed increased importance. HQJFNZ need to be able to reach all deployed elements 24/7 so an analysis of available bearer options is quite revealing. Cable can only be used from a fixed location, while cellular telecommunications need to be line-of-sight to cell sites. While high-altitude geosynchronous satellites have limited polar coverage and are not available to all force elements, they are the preferred primary channel because of their high data rates enabling a mix of data types to be transmitted and received rapidly. Low earth satellite orbits, for example, launched by Rocket Lab from New Zealand, can have excellent polar coverage, read the Southern Ocean, Ross Seas and Antarctica, but have the lowest capacity. Where does this leave HF radio? It can offer global coverage depending on the time of day, the state and height of the ionosphere between transmitting and receiving sites, and while having lower data capacity than geosynchronous satellites is a great alternate channel although not always usable 24/7. Occasional solar activity, including solar flares, can cause problems. The MOD’s project team position is ‘High-Frequency Radio is a critical communications capability for the New Zealand Defence Force’s smaller platforms, as an essential fall-back option for larger platforms and for platforms working south of 60 degrees South including the Southern Ocean and Antarctica. As such, this capability will be needed for the foreseeable future. The NZDF’s Network Enabled Army Program is in the process of updating the Army’s communications equipment. The radios being purchased as part of this update allow the Army to be interoperable with Police, emergency services and the High-Frequency radio network, if and when they are deployed in a domestic emergency. Currently, the NZDF HF radio network has assets in six locations. 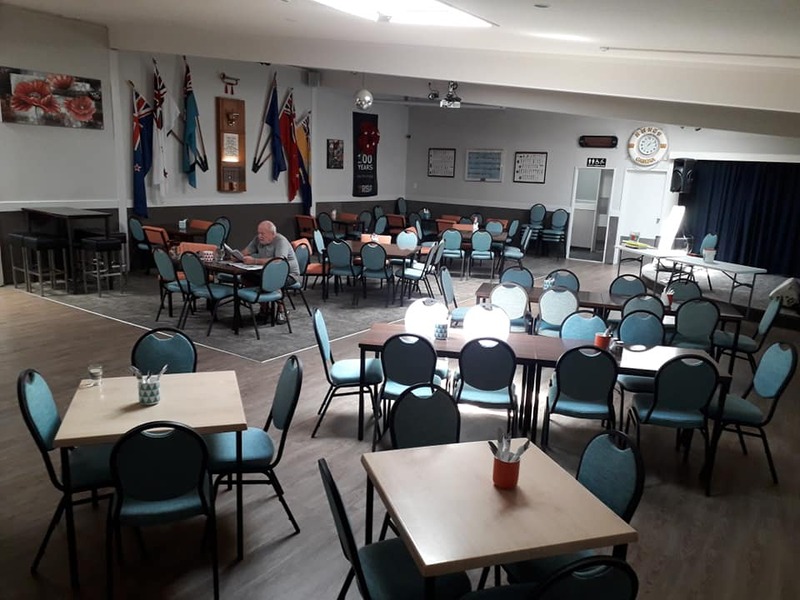 This project will consolidate two of these existing centres – Irirangi in the Waiouru area of the central North Island and Weedons in the Christchurch area of the South Island. Nothing to do with Communications but this little presentation makes it all clear. Our annual lunch at Waiheke RSA is this Friday 15 March. This is one of the Association’s major events for the year. It is always a good day out and the RSA makes us very welcome. Invite your partner and friends – you do not have to be a member of the Association to enjoy good company, food and a trip on the harbour. The ferry leaves the downtown ferry building on the half hour. Suggest we catch the 1100 boat as this also calls at Devonport on the way so ‘Northern Folk’ don’t need to come into town. It’s good to get to the ferry building early and have a coffee before boarding the ferry. The return sailings are on the half hour with the 1400 and 1600 sailings calling at Devonport. The Rock Reunion page now has its own website which can be found at therockreunion.org All details are now on this site. The “Survivors of the Rock” reunion will be held on 14-16th February 2020. Visit the website for further details. The Maori sailor has been a part of the RNZN from day one of its inception. There was never any discrimination and both Pakeha and Maori sailors have lived and fought together in harmony. In those early years, the top navy hierarchy was predominately ex Royal Navy (RN) senior naval officers who promoted the RN traditions, customs and principles. 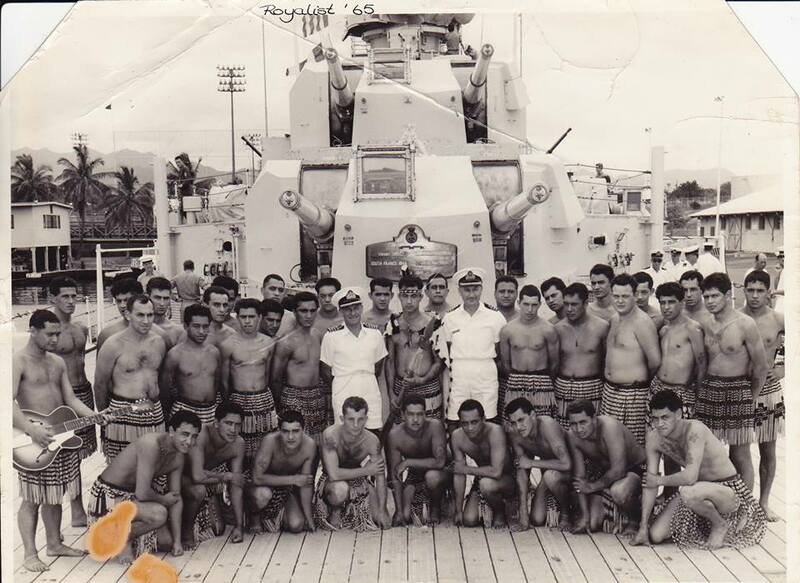 Although Maori customs and practices were never forbidden in the RNZN, the Maori matelots formed their own ships Maori Concert Party (MCP) in order to honour and promote their culture whenever their ships deployed overseas. Practicing when at sea and performing in harbour for cocktail parties, schools, civilian clubs, hospitals, TV and any locations that they were invited to. They were real amateurs but performed with enthusiasm, pride and pure joy for their tipuna (ancestors) their ship and themselves. They didn’t have the support of their wahine (women) to assist with harmonising or poi (ball on a rope) on ships in those early days. Most ships could ‘outfit’ their MCP’s with the traditional Maori puipui (flax skirt) and many of the sailors would have their own taiaha (close-1/4’s weapon) or patu (striking club) Their ta-moko (face tattoo) were simply drawn on by utilising whatever marking pens were available at the time. Some said that they were nothing but performing ‘puppets’ for the wardroom at cocktail parties who were rewarded with cartons of beer, but that statement could not be further from the truth. The main focus of a cocktail party was to promote our country and an integral part of that was to showcase our culture. The MCP were genuine ambassador’s and always received accolades and compliments for their performances around the world. The names of tutors such as, “Pop’ Pokai, Bert McLean, Bruce Pukepuke, “Choc” Kingi, ‘Tweeny’ Dennis, Dennis Newdick, Chris Kauta and Percy Poe are names that will forever be etched in Maori naval history as matelots who pioneered and forged the promotion of their Maori culture. If ever the history of the matelot in the RNZN is written, stories of the Maori Concert Parties should be told. MCP Royalist 1965 – MAORI HAKA PARTY – As they preferred to be known. 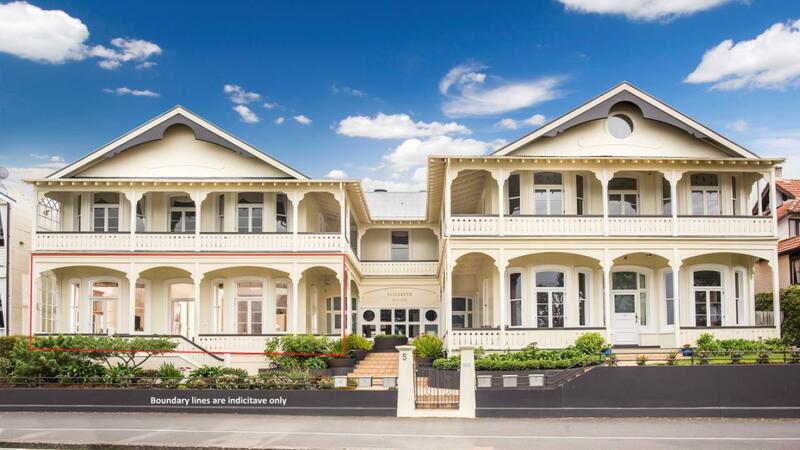 On 14th March 1991, Elizabeth House, 5 King Edward Parade, Devonport was sold by the RNZN for $800,000. 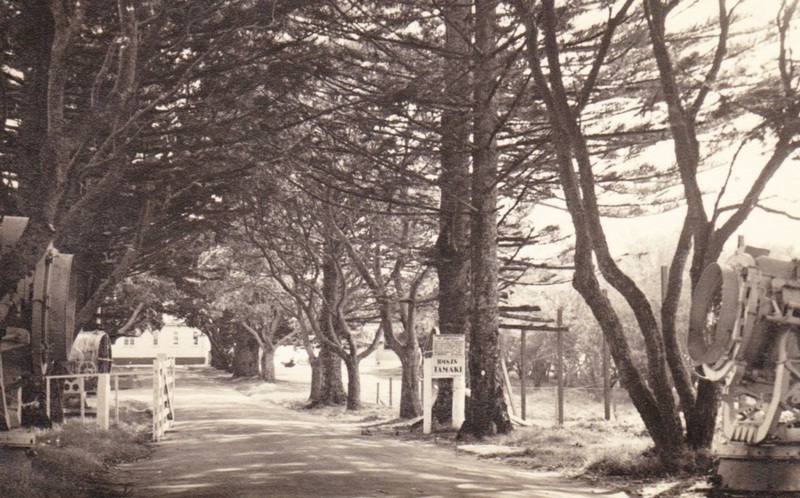 In July 1951, the Ventor Hotel was purchased by the RNZN to be the barracks for the WRNZNS. A year was taken up with refurbishment and the first group of 71 Wrens arrived in July 1952. This was christened as Elizabeth House. The original kauri house was destroyed by fire, rumoured to be started by a defaulting guest. The plastered brick replacement was built in 1914. The building sold again in 2009 for $1,450,000 and again in 2016 for $3,000,000. Gregory Terence Hanson V21248 joined the RNZN on the 9th of January 1974 as an Ordinary Signalman and eventually rose to the rank of Chief Petty Officer Yeoman of Signals. 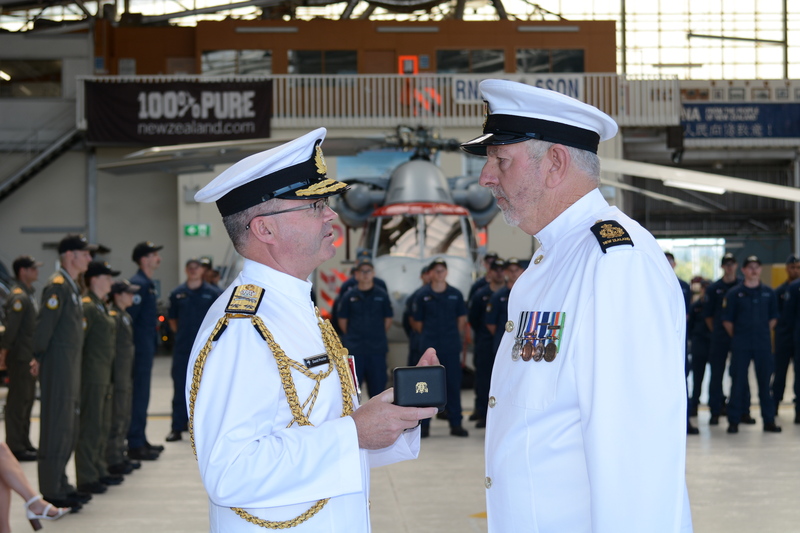 Greg has served at sea as a Signalman and Yeoman on HMNZS TARANAKI, HMNZS WAIKATO and HMNZS PUKAKI. He also had numerous shore postings to PHILOMEL, TAMAKI, NGAPONA as Caretaker/Instructor and as Senior Instructor at the RNZN New Entry Training School. In 2010, Greg took up an out of branch posting to the Youth Development Unit at Hobsonville Airbase and Trade Changed to a Youth Development Instructor (CPOYDI). 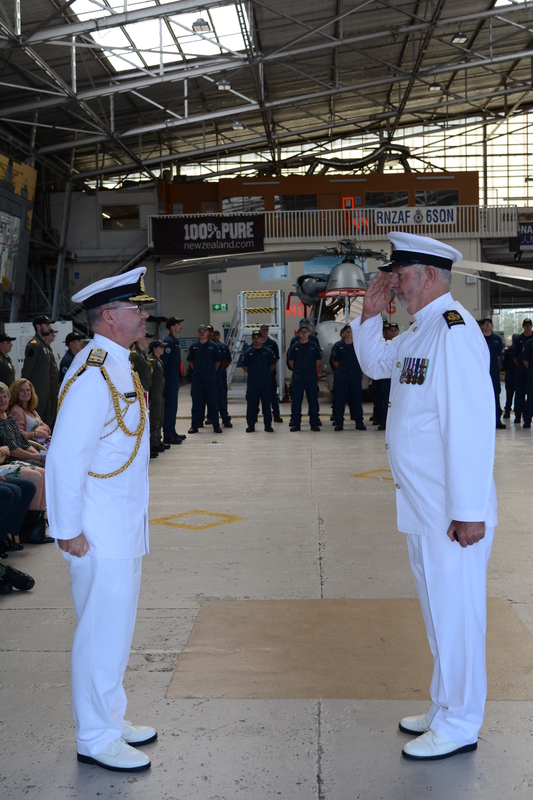 2017 saw Greg return to the operations world when he was posted to his current position as Operations Officer at No 6 Squadron, RNZAF Base Whenuapai which operates the Navy’s SH-2G Seasprite helicopters. Greg was awarded the LSGCM on 17 January 1989, the 1st Clasp to the LSGCM on 23 Jan 2004 and the 2nd Clasp to the LSGCM with effect 23 January 2019.